Teach your students about the importance of community service. Project Sleep Tight has all the tools to help you! Adopt a project today; scouts, sports teams, churches, youth groups, corporations, schools, and neighborhoods to support Project Sleep Tight and tell the world it matters! 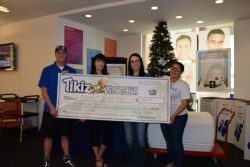 What you can do to make a difference in your own community and support Project Sleep Tight! We currently have shelters in AZ, UT and AK. Your gift to Project Sleep Tight will support our entire mission. Your donation along with the donations of others, will help give homeless children childhood essentials and put a smile on their faces! 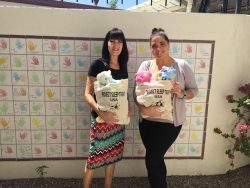 Project Sleep Tight donates over 3000+ Sleep Tight totes each year, free of charge to homeless and displaced children who need childhood essentials to feel cozy and significant. Each Sleep Tight tote contains a blanket, age-appropriate children's book, stuffed animal, and a new toothbrush--all tucked inside of a new canvas tote bag. By providing objects of reliable comfort, Project Sleep Tight reduces the effects that homelessness can have and promotes the emotional well-being of the children we serve. Every child who receives one of our Sleep Tight totes owns a book which encourages reading and family bonding, a blanket which can be cuddled, and a stuffed animal which can become a forever friend. 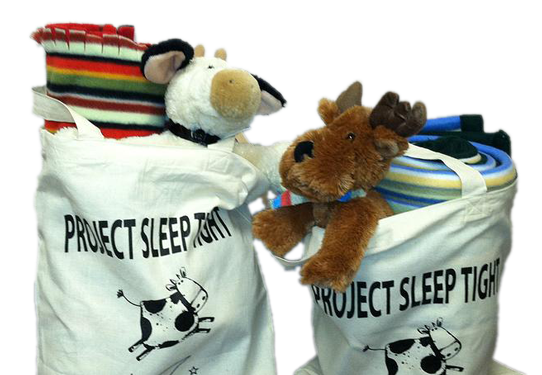 Our goal is to place a Sleep Tight tote with every homeless child in the country who needs one. It is a worthwhile effort that we are watching grow and we rejoice in the smiles that it is placing on the children's faces as they receive their Sleep Tight totes. We hope you will join us in continuing this work and help us to reach even more children. The impact of family stress during times of homelessness is not lost on children. Approximately 1.6 million children will experience homelessness over the course of a year. In any given day, researchers estimate that more than 200,000 children have no place to live. 74% of homeless children worry that they will have no place to live. 58% of homeless children worry that they will have no place to sleep. 87% of homeless children worry that something bad will happen to their family. 41% of the homeless population is comprised of families.